Fits all Micro3 fuse holders. 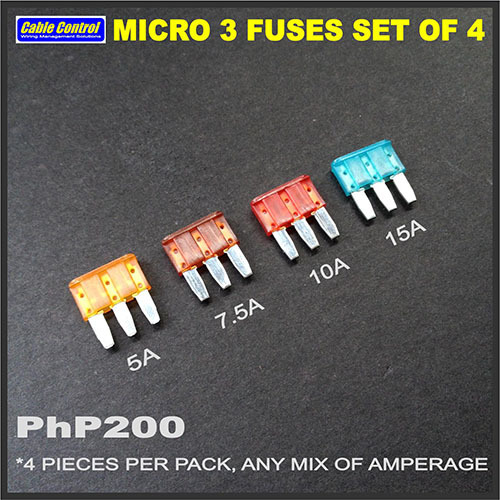 1 set includes 4 fuses, any mix of amperage. Choose from: 5A, 7.5A, 10A, and 15A. Please verify your fuse type before ordering (refer to picture).